1. However no Products will be accepted by the Seller if the Products have been damaged by the User if there is a change in the quality, quantity or other characteristics of the Product if as per the Seller the product returned is not the Product that was delivered. any other circumstances that the Website and/or the Seller may notify or deem appropriate from time to time. 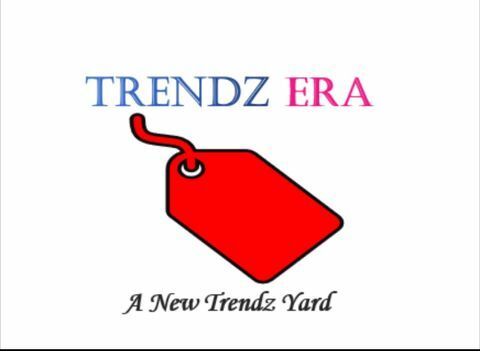 Trendz Era definately help you in returning, exchanging product and refunding the amount. We will process your refund amount once the seller recieve the product back. we will arrange a request pickup from customer if the customer is not satisfied with the product (products which falls under return policy, for returns). The product should be unused, unwashed and in an undamaged condition. What is TRENDZ ERA's Exchange policy? Trendzera.com offers its customers a ’15 DAYS FREE EXCHANGE SERVICE’ wherein you can request for a size exchange of a product online. All exchanges are subject to stock availability and subject to your address being serviceable for an exchange. If you choose to exchange an item, our delivery representative will deliver the new item to you and simultaneously pick up the original item from you. Please note that we are only able to offer size exchanges. If you wish to exchange your item for an alternative product, we suggest that you return it to obtain refund and purchase the new item separately. -Please make sure that product is returned with the tags and the packaging intact, in an unwashed and undamaged condition. -Please note that any product along with a free gift/combo must be returned in its entirety. -To know whether Exchange is available on your product, look out for "15 Days Free Return/Exchange" on the product page.